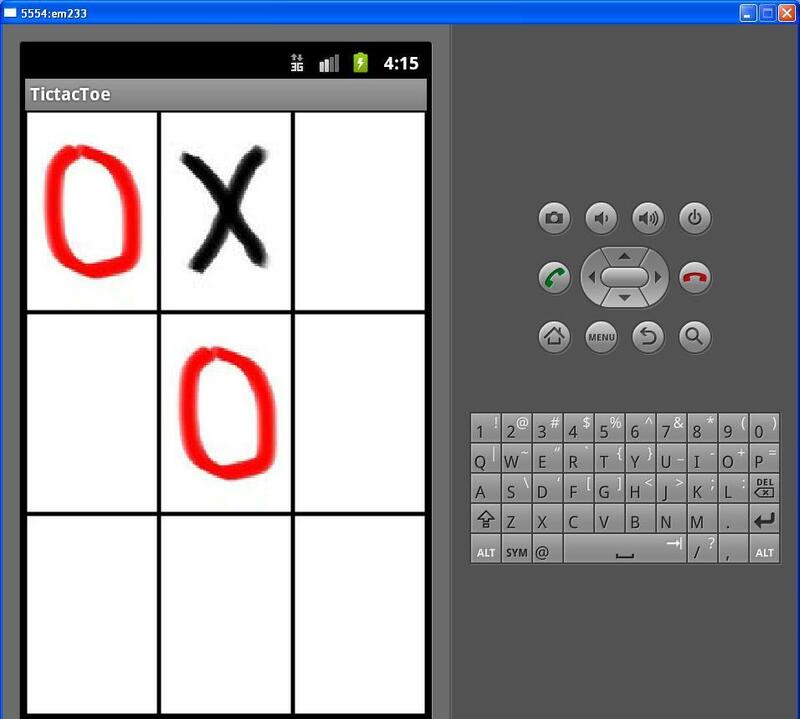 The project describes how to use 2D graphics and draw TicTacToe board. 2.) Add some images into your drawable folder for drawing cross and ball image. But please let me know about “Vazio” and “Cruz”. I assume they are the names of the images, but what kind of images are they?? But please let me know about "Vazio" and "Cruz". vazio, cruz and bola these are names of images only. these all are .jpg images which you have to put in res/drawable (drawable-hdpi, drawable-mdpi and drawable-ldpi) folder. 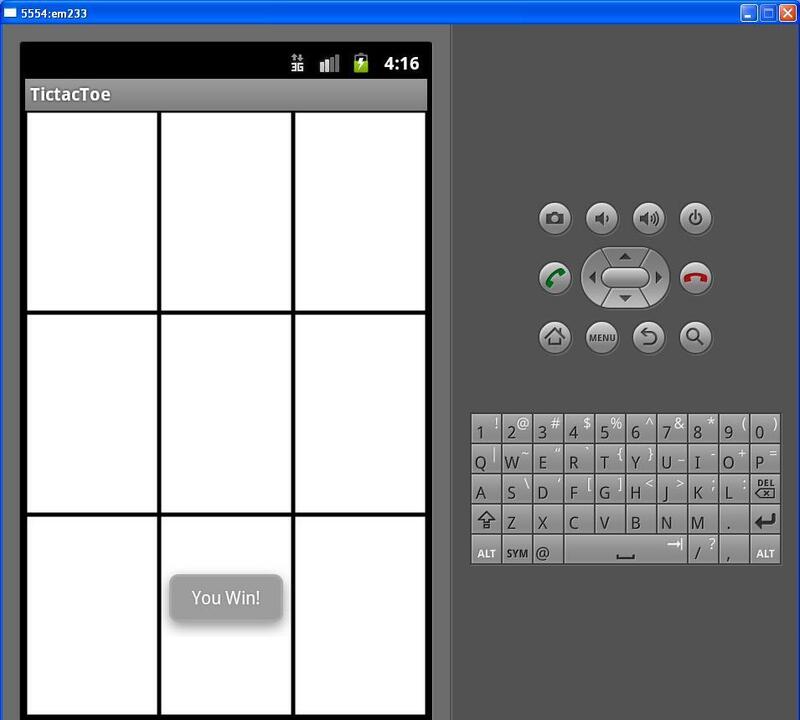 You can put the images of u r choice to change the look of tictactoe. Don’t forget to change these names into the code. This code has no problem in execution but, when yoiu click on the one of the rectangles(“Vazio image”). It gives the error..
Activity TicTacToe(in application TicTacToe) is not responding. I run the same and found no error. I have attached the images i am using to the post for you. Please try with those once. 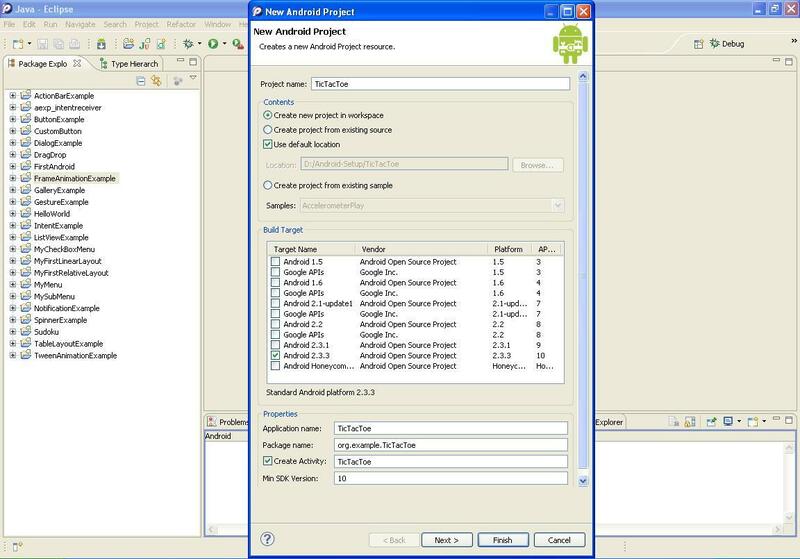 M doing a project in android named ‘Barcode Scanner’. But how to determine the cost from the barcode image captured? I run this application , there is error show-"sorry ,The application Tic Tac Toe(process org.example.TicTacToe) has stopped unexpectedly. Please try again"
Developing this application , what about main.xml what we do in this XML, please suggest. In this code I found Lots Of errors……like You click on same box or cell your choice changed but its not right………. shouldnt the “z-” be z++ because this produces an error? This was an awesome code. It helped me out a ton!! 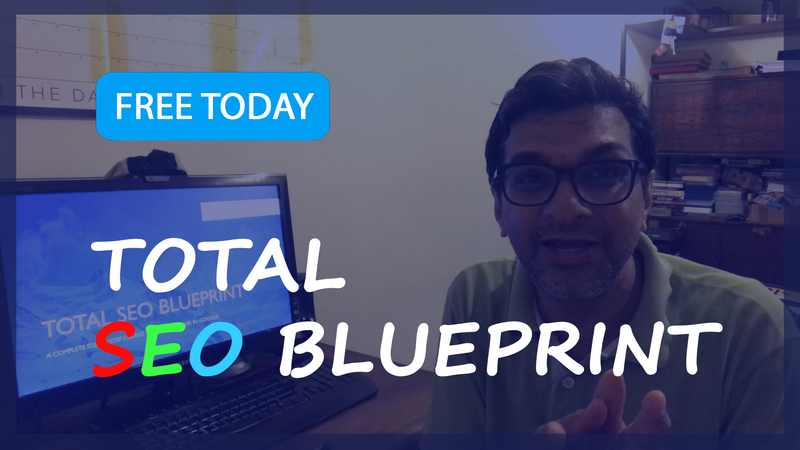 Thanks Sushant! But I had the same problem and I used your attached images. What could possibly be wrong? It doesn’t say where to make a class or anything… I’m trying to make a TicTacToe game but this isn’t really a step by step tutorial. i’m very nebie in programing…. Nice article. I also am not able to load anything. 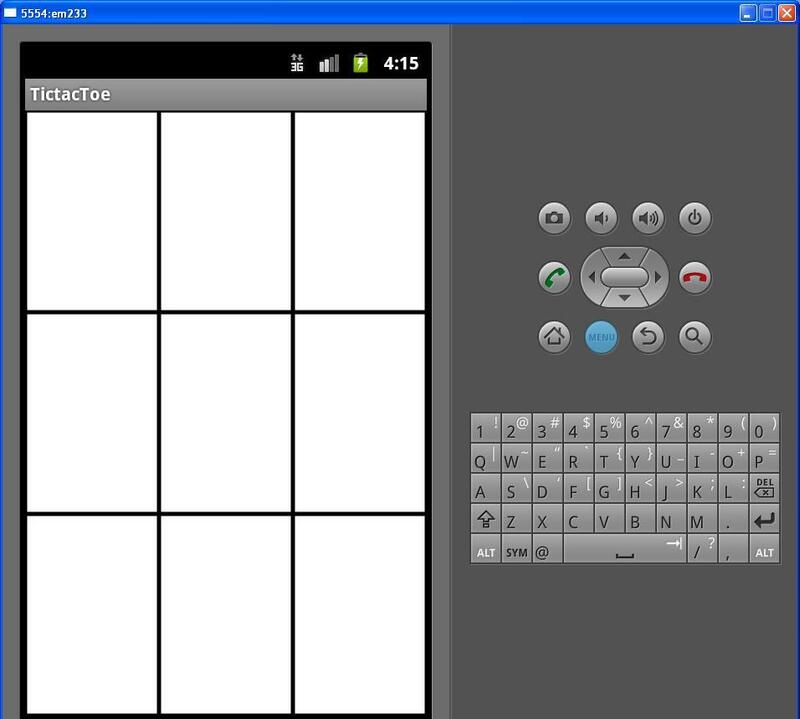 I run the code in the android emulator and the grid comes up but no images. I also ran this on my phone and same thing. I then created my own jpg images for bola, cruz and vazio. No luck there either. the codes give no error, when i start the app it will run but i only see a black page. the game layout dont show..
Hi please can I get comments to each of code or a tut. video explaining what each lines are for? "Activity TicTacToe(in application TicTacToe) is not responding"
Can we play against computer instead of human vs human? The game is amazing but i got some question to ask. I would like to know whether we can play against the computer instead of playing against human. 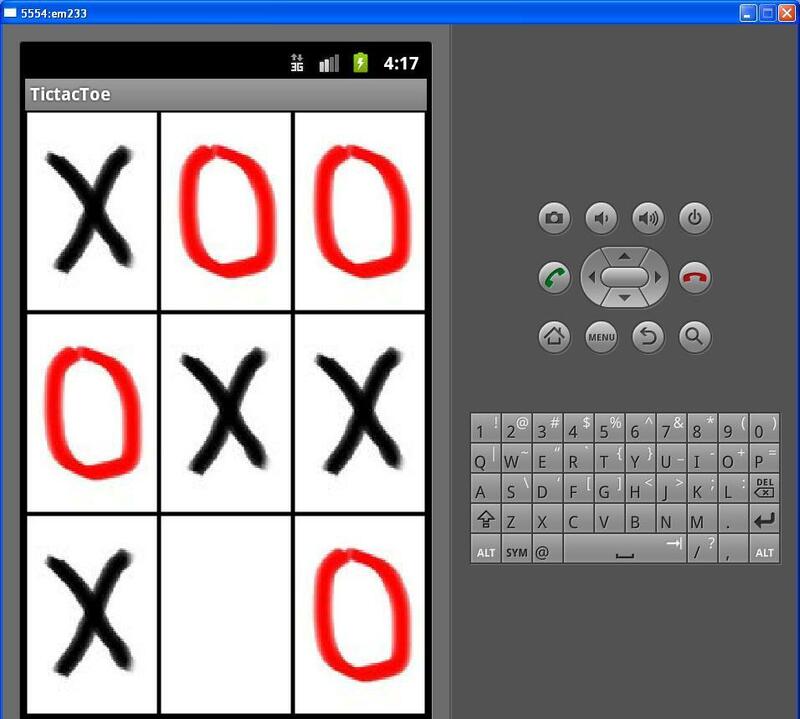 hey,,,,my friend gave to me tic tac toe full project. can you help me something about this project? I will share this project,,please help. I want to object X and O is limited to each object 3 pieces. so there are only X = 3 and O = 3, not more, so that the object can slide because there are 3 columns blank, can u do it??? Is vazio the ‘x’ and cruz the ‘o’ pictures respectively? Can you please share the XML file for above code?? It will be more helpful. can you tell me about R.drawable.vazio?what vazio? hey which code goes where? you may create two player using bluetooth? Could some one tell how to place these codes? do we just copy and past it to the TicTacToe.java file? can some one give step by step instructions?